The former Rangers defender died in hospital after being seriously injured in a motorbike accident. Ex-Rangers defender Avi Cohen has died after his motorbike was involved in an accident, leaving him with serious head injuries and in a coma. The 54-year-old underwent emergency surgery after a collision with a car outside Tel Aviv in his homeland. His condition had been described as "serious" at the time of the accident. 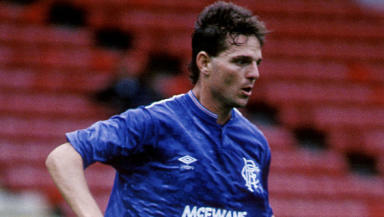 Cohen was one of Rangers former boss’ Graeme Souness’s first signings as he started his Ibrox revolution in the late1980s. Cohen was the first Israeli to play in the English top flight when he signed with Liverpool in 1979. He made 24 appearances, scoring one goal in the match against Aston Villa which secured the Reds the 1979-80 league title. He played for the Israeli national team 51 times, scoring three goals. His son Tamir Cohen – also a footballer who plays for Bolton Wanderers - confirmed his death.